The Austro-Hungarian Empire was one of the first nations to experiment with armored fighting vehicles, but never adopted them in any meaningful numbers. Gunther Burstyn’s visionary “trench-crosser” tank was, in 1911, the first practical tracked vehicle design armed with a turret, but it was never produced. The 1905 Daimler Panzerwagen preceded even the Russo-French Charron as the first armored vehicle with an enclosed revolving turret. However, officially, the Army never expressed much interest in these experiments. It was due to the work of some officers that two models came into service, the Romfell (PA2) and the Junovicz (PA1). A unit operated with a mix of these and captured vehicles. Between 1918 and 1920, the remaining armor of the new Austrian nation mostly fought off Yugoslav incursions. The Austrian Heer (an emanation of the Volkswehr or “People’s Defence”) and Police relied on a collection of armored vehicles like the WWI-era Lancia IZM, and various Skoda models including the famous “Zelva” (Turtle) in 1927, used for urban security purposes. When the Bundesheeres needed a new armored vehicle, the Steyr company proposed a symmetrical, heavy 8×8 armored car, known as the ADGZ. It was accepted into service in 1934 and the 49 built formed the backbone of an army made of a regular motorized infantry and mountaineers, but with no tanks in support. 14 of these were given to the Gendarmerie. However, the ADGZ was seen pretty much as a dual rôle vehicle that could perform border patrols and reconnaissance missions in force, as it was armed with a 20 mm (0.79 in) auto-cannon in addition to MG03 machine guns. With the Anschluss, the Reich absorbed the German-speaking Austria, that had ancient ties with its northern neighbor, but at the same time was a democratic regime that despised the Nazis, although the population had mixed feelings. The acquisition was less fructuous than later the Czech partition on the industrial standpoint, but Germany had now access to the expertise of Steyr and Daimler-Puch, which would crank-up hundreds of military vehicles for the IIIrd Reich until the end of the war. 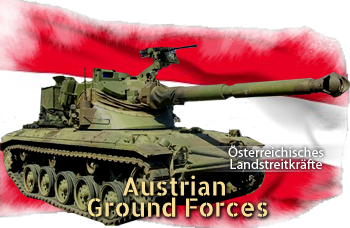 In 1955, Austria declared and inscribed into its Constitution its everlasting neutrality and the Bundesheer was consequently tailored for efficient territorial defense. The country had the industrial basis upon which to create its own tanks and AFVs. Its structure was fixed and did not change much until 1993. 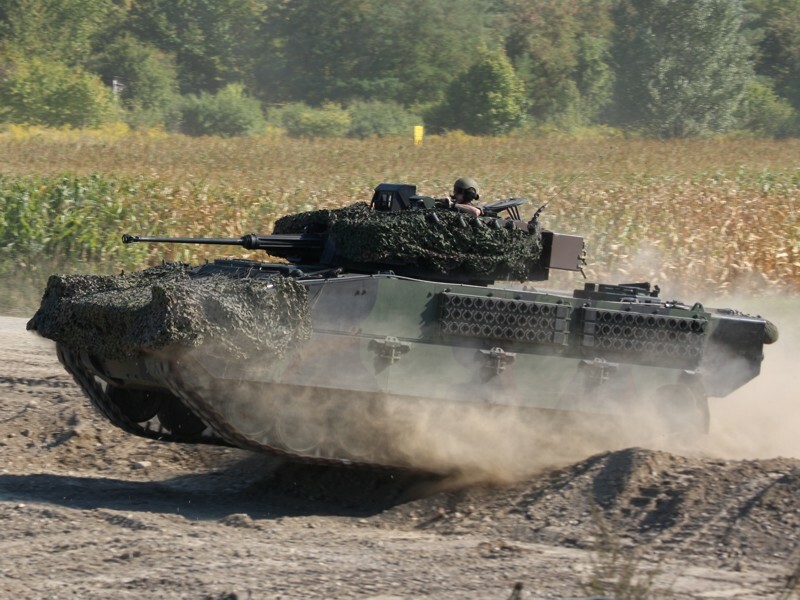 The German best seller, the Leopard 2, also equipped the Austrian Ground Forces after the 1980s. 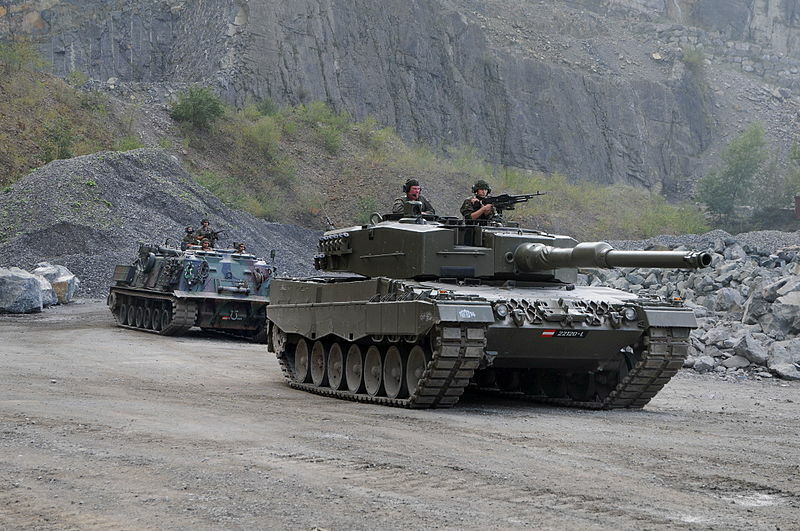 A Leopard 2A4 from the 14th Tank Batallion, along with a M88 ARV, can be seen above.. 56 are in service currently. The Ulan IFV is an Austrian-Spanish product and one of the best of its kind in Europe, complementing the Leopard. 112 are in service. 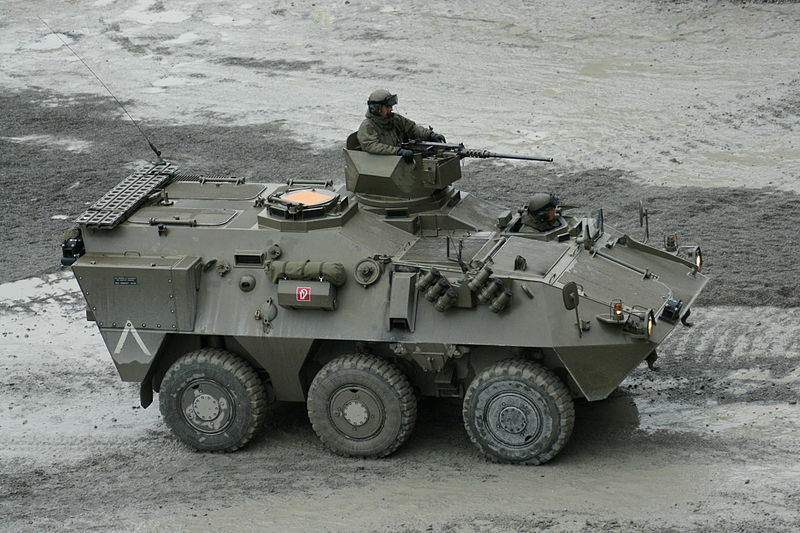 The 6×6 Pandur APC is reminiscent of the MOWAG Piranha and was developed to replace the aging Saurer 4K-4FA tracked APCs. 71 are in service today.